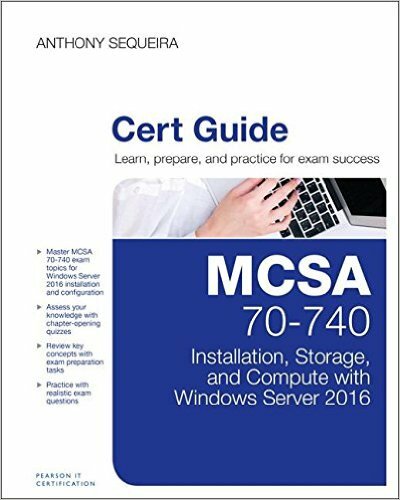 Exam Review: 70-740 – Windows Server 2016! I am looking to beat that June 1 publication date by the way! So now that the shameless self promotion is out of the way – let’s get to the exam. You can expect about 47 questions on this 70-740 exam with a passing score of about 700. You have 120 minutes for the exam. Time pressure is NOT an issue. I say this even as a very fast test taker and an author of a text on how to pass. The exam breaks down accurately into the following sections. Notice the percentage breakdown on the number of questions you will face! Know these – and know them well. The exam almost seems crazily biased toward them. This 70-740 exam is pretty easy. Please, of course, study. But compared to previous Server exams, it is definitely on the easier scale. Knowing key facts can carry you through many questions. And you have a relative few questions to deal with. I really enjoyed how this exam hammered important facts, and not trivia. Other Books By Your’s Truly! Yes – I have been hard at work writing this summer and fall, especially with the exciting new products and certifications that area available for us in the IT world! 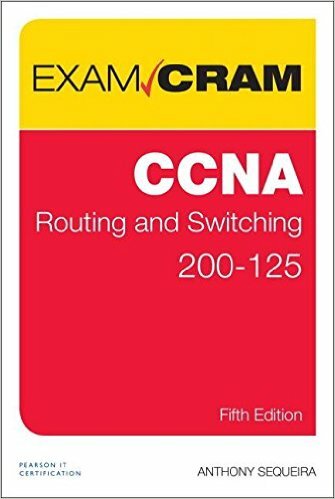 This text will take you through bullet point by bullet pint in the new Version 3 of the CCENT (ICND1) exam. This critical text features the following special features that you will love! I hope you are excited about these new texts as I am – Happy Reading! Here is a detailed breakdown of part 1 of 6 of the Exam 70-740 for Install, Storage, and Compute for Windows Server 2016. This section makes up 10 to 15% of your exam. What’s New in Microsoft Windows Server 2016? 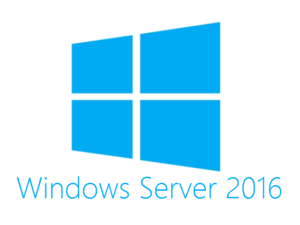 If you are like me, you are getting very excited for the new Windows Server 2016. Q3 of 2016 just cannot get here fast enough. Nano Server – want a Windows Server with no GUI and no command prompt? Want one that is tiny and can run Hyper-V? Introducing Nano Server! Containers – containers are certainly a buzz in IT today. They allow an application to run with everything it needs in one container, and then this container can be moved to another system and still run great. Windows Server 2016 features two types – Windows Server Containers and Hyper-V Containers. Windows Server Containers are isolated from each other but they run directly on the Windows Server 2016 OS. Hyper-V Containers provide enhanced isolation by running the containers from a Hyper-V VM. Docker support – yes, the flagship container app, Docker is now going to be supported in Windows Server 2016. This permits the use of Docker to manage Windows Server 2016 as well as Hyper-V Containers. Rolling upgrade for Hyper-V clusters – that’s right, upgrade one of your cluster nodes to Server 2016 and you will stay at a Server 2012 R2 functional level until all of the nodes have upgraded! Virtual memory and virtual network adapter enhancements – now in Hyper-V, you can manipulate the memory and virtual NICs allocated to a VM even if that VM is running and using static memory. Nested virtualization – how about Hyper-V within a Hyper-V VM? No worries in Server 2016! PowerShell Direct – this new tool allows you to run PowerShell commands against guest Operating Systems inside VMs with ease. This is excellent, since attempting this with PowerShell in the past could be very frustrating. Linux Secure Boot – now VMs in Windows Server 2016 support secure booting for Linux operating systems. In the past, this was only available for Windows-based VMs. Host Guardian Server and Shielded VMs – The Host Guardian Service is a new role in Windows Server 2016. This role enables shielded virtual machines and protects the data on them from unauthorized access. With Shielded VMs, Hyper-V virtual disks can even be encrypted with BitLocker. Storage Spaces Direct – Windows Server 2016 Storage Spaces Direct allows a cluster to access JBOD storage in an external enclosure like Windows Server 2012 R2 or it can also allow access to JBOD and SAS disks that are internal to the cluster nodes. Storage Spaces Direct still form the basis for Storage Pools and they support both SSD and HDD disks and data tiering. Notice a common theme in all of these exciting new features? Sure – I think this virtualization thing seems to be catching on! Let me know what you think in the comments below!